Mozilla has been nailing it with privacy with its browser, and the recently launched encrypted file sharing app, Firefox Send. And now it has brought Firefox Lockbox for Android, a free and open source password manager. This app was originally launched for iOS in September 2018. Though it is a password manager app, it works quite differently than your traditional ones. Instead of letting you store all your passwords in a vault like a normal app does, it uses Firefox Sync, the synchronization service which is built into the Firefox browser. To use Lockbox, you need to do 2 things. The first is that you have to be logged in to your Sync account in the Firefox browser. Secondly, you need to save some passwords in Firefox. The passwords/usernames are stored securely and tied to your Sync account. Sync is a very useful feature. Let’s say if you have Firefox on your PC and on your Android phone, you can use Sync to keep the browser data up-to-date, and access your passwords, history, add-ons, bookmarks, etc. 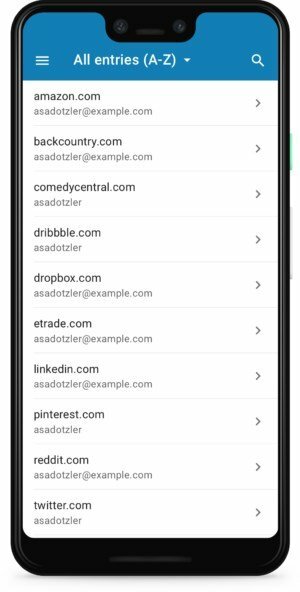 Firefox Lockbox for Android is a standalone app, which imports the usernames/passwords that you have saved in Firefox using your Firefox account. That’s the difference between it and other password managers. You can use Lockbox to login to other apps or your mobile browser easily with the autofill option, i.e., you don’t have to remember or type the username and password manually. Lockbox can also be used to quickly search for your credentials. Want to find your password for a specific website? Just search for it in the app. Lockbox secures the data using 256-bit encryption to sync across devices. You can unlock your database using a master password, which is your Firefox account’s password. You can also use your phone’s fingerprint scanner to unlock the database quickly. You can download the app from the Google Play Store. It doesn’t cost a dime. If you are already using a password manager app like LastPass, Bitwarden, Keepass, etc, you may not be interested in Lockbox, though it can be a good alternative. We would like to inform users, that there is a Setting in the Firefox Lockbox for Android app which you may want to disable for your privacy. Go to Lockbox > Menu > Settings > Send Usage Data, and disable the toggle.